NCCD has assisted eleven different colleges and universities with the creation of over 7,500 beds and three mixed use facilities at a cost of over $1.3 Billion since 2012. The Corporation has established single member limited liability companies for the limited purpose of acquiring, financing, and operating these projects. This structure eliminates the need for tuition or tax dollars to support housing and facilities for students. NCCD is a certified 501(c)(3) not-for-profit organization dedicated to helping build stronger communities through tax-exempt financing solutions for facilities development. As a nonprofit, our ability to access tax-exempt financing translates into increased flexibility and meaningful cost savings. Our innovative approach gives our partners greater control while reducing the risks and financial burden associated with facilities development. Our goals are to reduce the time, risk, and expense associated with public facilities development. Our tax-exempt financing solutions provide cost-effective, risk-free opportunities for essential infrastructure and facilities development without support from tuition or tax dollars. In March 2015, NCCD was successful in partnering with the development team led by Servitas and with $56 million of tax-exempt financing provided by Raymond James. 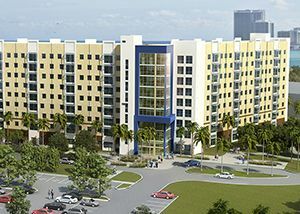 Raymond James served as the sole manager for two series of Revenue Bonds issued by the Miami-Dade County Industrial Development Authority for student housing on the Biscayne Bay campus of Florida International University. Completed for the 2018 football season, The Doug Pitcock '49 Texas A&M Hotel and Conference Center is situated near the heart of Texas A&M's ever-growing campus. 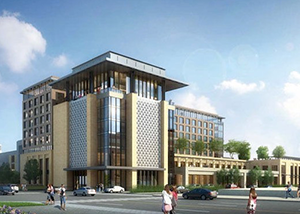 Housed in a striking glass tower across from Kyle Field and near the Memorial Student Center, the hotel and conference center provides stunning accommodations to host current and former students and their parents and visitors for meetings, events and celebrations. 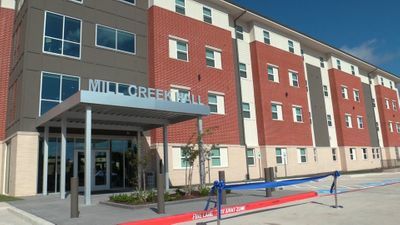 In the Fall of 2018, Blinn College opened Mill Creek Hall as a residence hall for the students at the two-year school in Brenham, Texas. Situated at the corner of Seager Street and Old Mill Road, the property features approximately 9,000 square feet of common space, including study spaces, an outdoor courtyard and an engineering classroom. Drake West Village is a contemporary interpretation of the surrounding residential neighborhood that complements the adjacent campus and Greek Row housing with its scale and building materials. 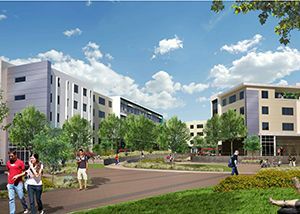 The concept for the project was to develop a “village” atmosphere where students are part of a lifestyle community where they can live, work, study, and socialize within this unique environment. Fleming Hall is on the campus of Converse College in Spartanburg, South Carolina. It is a $10.5 million project for 125 beds of student housing. 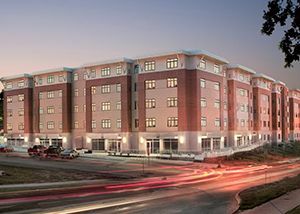 New suite-style junior housing is complete on the east corridor of the back campus quad. 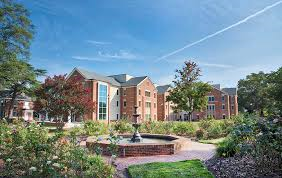 The 120-student-bed facility opened on time and under budget in fall 2017, bringing the next phase of Converse College’s Housing Master Plan to fruition.